Has Hezbollah developed a domestic arms industry with Iranian support? On Mar. 11, Islamic Revolutionary Guard Corps (IRGC) sources revealed to Kuwaiti newspaper Al-Jarida that the IRGC has built weapons factories for Hezbollah in Lebanon and handed them over to the Shiite organization. This comes one week after Iranian Defense Minister Hussein Dehqan declared that Hezbollah “now possesses the capabilities to build and produce any projectile or missile” capable of reaching any location in Israel. 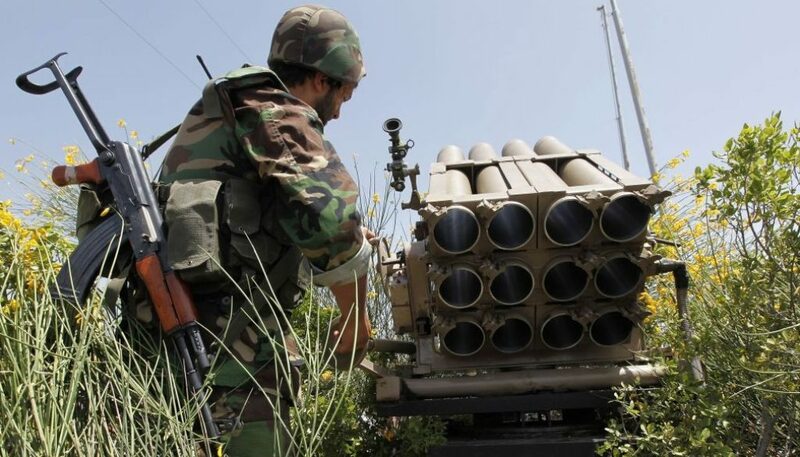 However, it remains unclear how Hezbollah is acquiring the materials and domestically producing the sophisticated components necessary to manufacture advanced weapons such as ballistic and anti-ship missiles when the Iranians themselves experience difficulty in doing so at home. According to Al-Jarida, the IRGC source said the Revolutionary Guard began building the factories in Lebanon “after Israel destroyed an Iranian weapons factory in Sudan years ago which provided arms to Hezbollah” – likely referring to an Oct. 2012 air strike attributed to the Israelis on the Yarmouk weapons factory in Khartoum – “and targeted weapons shipments to Hezbollah from Syria.” The IRGC gradually handed over the factories to their Lebanese proxy, with Hezbollah assuming full control and oversight over them three months ago. Meanwhile, the IRGC established a special department in its Imam Hussein University – its official military college which hosts weapons research and development facilities – to train “hundreds” of Lebanese specialists in producing arms. The munitions factories are built at depths of at least 50 meters below ground, topped with multiple layers of reinforcement to prevent damage from Israeli air strikes. As an additional precaution, no single factory carries out the entire missile-producing process. Instead, they are produced as parts, independently, among the various factories and later assembled elsewhere. Echoing Dehqan, the source told Al-Jarida that Hezbollah could now use these factories to produce missiles with a range of “over 500 kilometers,” including surface-to-surface, land-based anti-ship missiles – perhaps copies of the Chinese-designed C-802s – and torpedoes launched from light water craft. In addition, and more realistically, the factories are said to produce aerial drones capable of carrying reconnaissance missions or carrying munitions, neither of which are unprecedented for Hezbollah and increasingly common among terror organizations. The Shiite group is also allegedly producing its own artillery, machine guns, anti-aircraft guns, missile launchers and various types of ammunition including armor-piercing rounds. The real concern, however, arises from the claim that these factories are producing anti-tank missiles, particularly since the Israelis have signaled their intent to launch a massive combined arms ground operation against Hezbollah at the outset of any future war. Neither Dehqan’s nor Al-Jarida’s claims are entirely new. In late 2014, Hezbollah’s deputy chief Naim Qassim said that, under Iranian tutelage, Hezbollah already possessed the ability to “produce some of the components” of their rockets during the Second Lebanon War in 2006. Months later, the IRGC Air Force’s Commander General Ami Ali Hajizadeh confirmed that Iran was exporting its missile producing technology to Hezbollah and their proxies in Iraq, Syria and the Palestinian territories. In fact, Iran appears to be pushing a broader effort to provide its proxies with more autonomous and domestic fighting capabilities. Outside of Lebanon, Hezbollah is using Syria as an alternate location to produce and test its weapons. The source indicated to Al Jarida that the Shiite group has already successfully combat tested these Lebanese-produced weapons in the Syrian battlefield, and according to the chief of Israeli military intelligence, weapons for Hezbollah are also being produced in Syria. Besides significant threat of anti-tank missiles from Hezbollah weapons factories, it’s probably likely that Iran has supplied these terrorists with the ability to make IEDs with shaped charges that can penetrate Israeli tanks and armored vehicles. May the Israeli Air Force find and destroy these factories in the coming months.